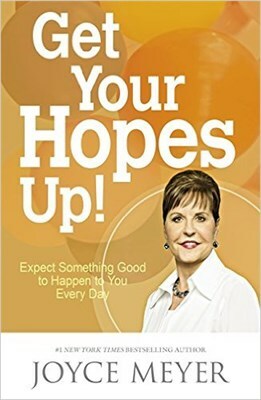 In Get Your Hopes Up!, bestselling author Joyce Meyer helps readers achieve a lasting sense of hope, built on their faith in God. Written in her usual accessible style, in this book Joyce Meyer explains how each of us can have hope - 'the happy confident expectation that something good will happen' - that changes everything. In this book you'll discover how to hope when you're hurting, how hope raises your faith, how hope anchors your emotions, and much more. Get Your Hopes Up! would make a great gift, helping readers to change their life by tapping into the power of hope. As Joyce says, "Without hope in God, there isn't much you can do, but with hope in God, there isn't much you can't do."